Oh my! Could a perfume be any more ladylike? Dior’s Grand Bal breezes in with giant organza punches of BIG white floral jasmine that seems to glide in the ether, layer upon layer of white, flouncy, fluffy clouds with a pale powdery yet green tinged die-down. It’s not called Grand Bal for nothing. In March 1949, Count and Countess Etienne de Beaumont sent out invitations to the ‘Kings and Queens’ Ball’. Monsieur Dior took up the challenge and entered the soiree dressed in a lion costume he had designed himself conjuring up the style of the Belle Epoque era Grand Bal. 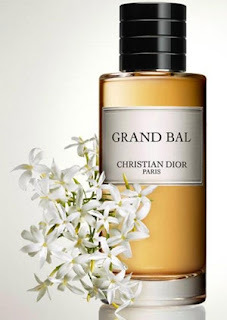 Francois Demachy, Perfumer-Creator for Dior has placed Grasse jasmine absolute in the spotlight for this fragrance. Around 10,000 flowers are required to obtain a single kilogramme of Absolute so this perfume packs a floral punch, raising it to heavens high. What is apparent is its air of refinement; Of breezy upmarket class, of vast gestures carried out discreetly, of knowing and meeting the balance between overblown and understated, of Marquises who know their place. 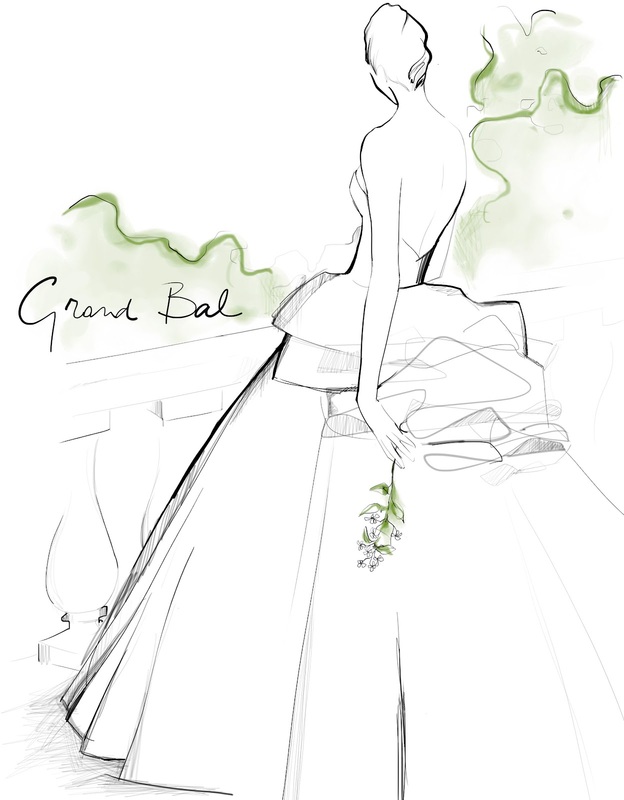 Grand Bal is quite literally, a breathe of fresh air in a royal crest. Raised to a higher level, jasmine with essence of Mayotte ylang-ylang and dash of Tunisian orange blossom absolute infuses the duo with a denser note, swirled together with a sweet, sumptuous musk. 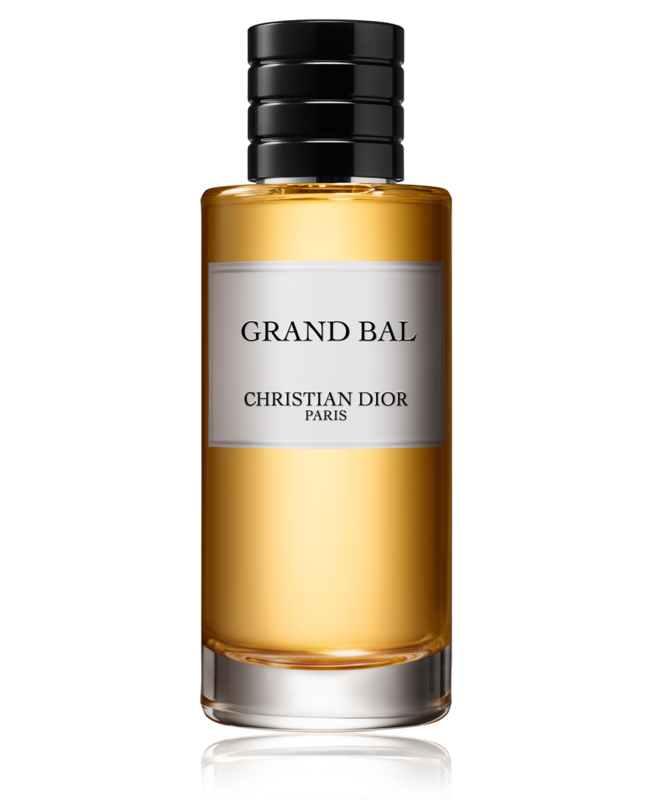 If Dior’s 1956 classic, Diorissimo is your choice, Grand Bal will carry you to new levels of floral headiness on a gilt throne with its altogether more intense experience. Grand Bal has made its entrance. As loyal courtiers we should bend and stoop in its wake. 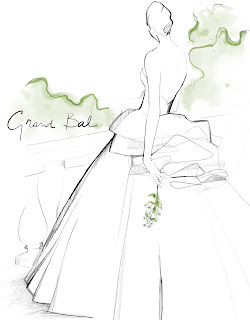 Grand Bal launches 1st October 2012 in Selfridges and Harrods priced at £125 (125ml), £185 (250ml) and £285 (450ml).